Are you a recent graduate? Congratulations!!! The perfect time to kick-start your career is now! – after your graduation. Every year number of graduates is increasing and there is more competition. Graduates are worried about their career and eager to work. Some graduates further their studies for master degree while some are worried about their job. They are unsure to join the industry. Multiple things go in their mind. This is the common scenario and one need not worry about it. 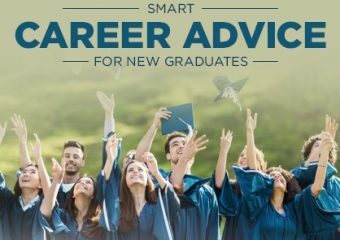 Here in this article, you will find few career tips about what you can do after graduation and how you can make your life successful. The first thing is to understand what you want to do rather than listening to others. Work on the things like what kind of work you will enjoy, what is your area of interest and where you see yourself after 5 years. Making a plan will help you chose the right job. Once you are sure what you want to do then research on it by discussing with people from the same field. Many parents confuse their children in choosing the right job. It is your duty to analyse your skills as nobody knows better than yourself. When it comes to starting a research on various job positions you need to be calm. The first job will lead you the same field. So, figure out which field is best to start the first job. Some graduates who are confused and researching in the various field. They use their time in learning some basic courses like Advance MS excel training. Very few peers know that it is important that you should not have month’s gaps while starting the first job. So, it is feasible to take some training course to add advantage. You need to keep calm throughout the process of job placement. It takes time to get into the right place. Yes! when is comes to choosing a career, choose one that you love doing for free and let people pay you for doing it. It is vital to choose something that you love for money. It is every students dream to join workforce after graduation but you can also continue with some course or training. The job market is highly competitive, and you might not get a good job as you are a fresher. This is the perfect time to grab some certification course which will set you apart from the crowd. Suppose you want to become a developer then chose MIS training certification before applying for the job. This will provide you the benefit of the good salary package. This is the main point. Not everyone who have a resume have a cover letter. Always very few. A cover letter is very essential when applying for jobs. It is a brief summary about your personality and professional goals. When a recruiter receives a well-crafted resume without a cover letter, it gives a negative impact. A cover letter tells the employer why you want to join his company and how you are suitable for the job profile. Prepare your cover letter to target the company profile (goals and objectives) and the job position. Make the content relevant with engaging keywords. Make it short and precise, it should not be too long to read. If you are applying for HR job then highlight your extra qualification like HR Generalist Training course. Also, highlight your traits and skills suitable for HR job. Apart from academic qualification and awards, your recruiter is interested in knowing your hobby. Here as a hobby, you can share that you love to watch TV. It will give a negative impression. Hobby reflects a little about your personality. Let’s take an example; if you are applying for salesperson job. Your hobbies can be community group involvement or active participation in some sports activity. If you don’t have good hobby, then create one as it is important. Do not give fake information try to create some good hobby for yourself which add advantage to the recruitment. Let your personality shine through your hobby and convert it into a job skill. If you have done E-Accounts and E-Taxation Training then your hobby can be playing sudoku or solving puzzles. When you start applying for a job, your degree doesn’t have much relevance if your personality is not suitable for the job. Try to sell yourself not the title of your degree. A degree will make you qualified to apply for the job, but your knowledge and personality will make you get the desired job. Learn about the company, visit the website, revise your subject and study your resume. Before appearing for an interview, you should be confident about the job. You have to develop a positive attitude. If you don’t get hired in a first company, don’t worry is a normal phenomenon. Try the second company; it is a time taking process. The may come the situation where you might not get the best job for the first time. As a fresh graduate, you might want to join a start-up. Don’t be discourage, it is not a waste of time. An experience will never lead you to fail in life. The experience adds value. To get a dream job you need to gain some good amount of experience in that field. As a charted accountant, if your dream is to get a job in Delloite, then take some training from GST Practical Training Institute and get entry level job in some company or you can directly apply to Delloite as an internee. At the initial stage of your career, you may face some struggles. Don’t give up. Make the right choice and move ahead. You will face a certain amount of rejection as a graduate job seeker but don’t worry about it. It is a competitive world and you have to make yourself worth for a successful career. Nishant Agrawal is a career advisor in Talent Magnifier institute. He wants to give great career advice HR Generalist, Accounts, GST, Corporate Accounting, MIS and MS Excel etc. to those people who wants to make their bright future.